Senior Center Goes To The Dogs! Seven seniors along with their best friends came to the Senior Center to celebrate national dog day. Big to small we had it all, work dogs, house dogs, pure breeds, and the lovable yellow lab-golden retriever mix. 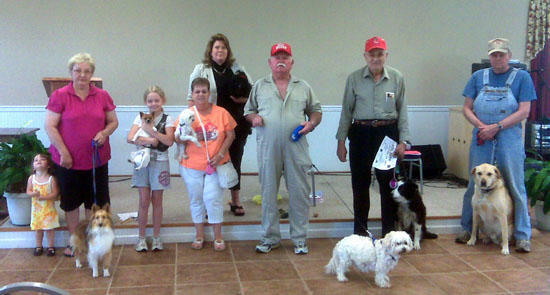 They all received chew toys and information about the Good Ole Days Dog Show to be held Sat May 15th. Call Linda at 563-5518 for dog show information.